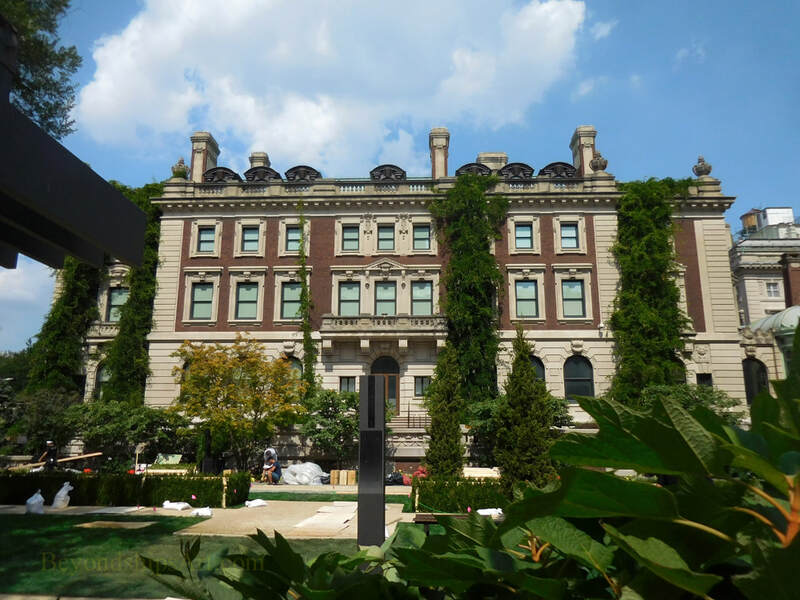 The Cooper Hewitt Smithsonian Design Museum in New York City is the United States' only museum dedicated to historic and contemporary design. As the name indicates, it is part of the Smithsonian. Founded in 1886, the museum was originally part of the Cooper Union for Advancement of Science and Art. The idea was that students of Cooper Union could use the museum in their study of the decorative arts. Over time, the school and the museum took different paths and so in 1963, Cooper Union announced that it was closing the museum. This led to a public outcry and a campaign was begun to have the Smithsonian Institution take over the museum. An agreement was reached and in 1968, the Cooper Hewitt became the first branch of the Smithsonian outside of Washington D.C. Sine 1970, the museum has been housed in the historic Carnegie Mansion. Built between 1899 and 1902 as a home for the tycoon and philanthropist Andrew Carnegie and his family, the mansion was an innovative structure in its day. It was the first private house with a steel framework and the first to have an Otis elevator. Designed by Babb, Cook and Willard, the house was done in the Georgian style. Outside, it has a garden that is quite large for Manhattan. Although converted for museum use, elements of the original interior design can still be seen. Also, the museum has an interactive display with which visitors can take a virtual tour of the house as it was when the Carnegies lived there. Cooper Hewitt has some 210,000 pieces in its permanent collection covering a wide range of subjects relating to decorative arts and design. It shows these items plus works on loan from other collections in a series of temporary exhibitions. The exhibitions cover a wide variety of topics ranging from historic designs to basic elements of design such as color theory. Technology has been used to enhance the museum's presentations. 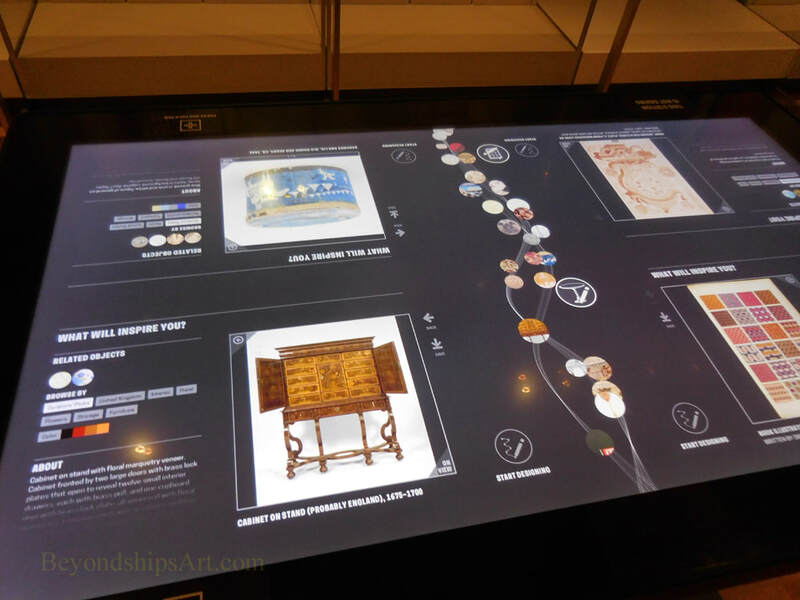 There are tables with interactive screens that allow visitors to find out more information about various objects. Visitors can also try their hands at designing objects. Electronic “pens” allow visitors to capture information from the tables and from the signs in the exhibits that can be retrived later from the museum's website. 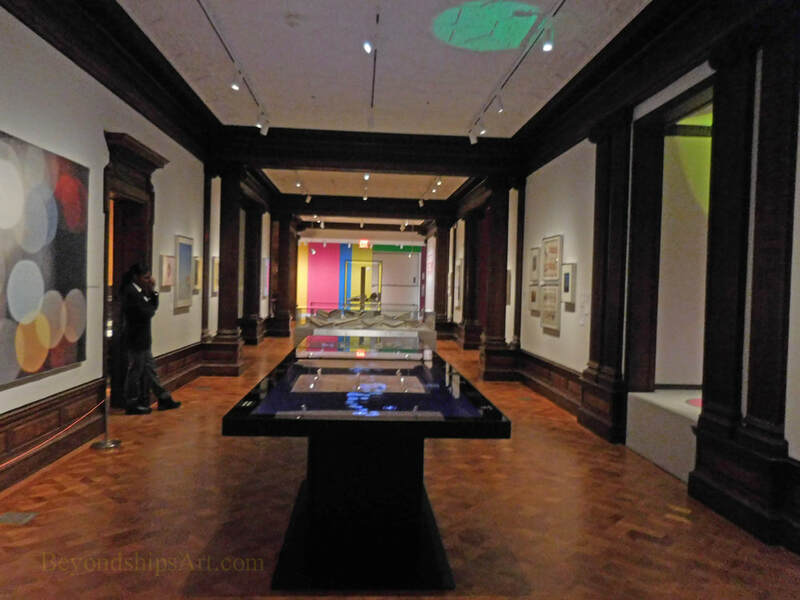 Along the same lines, in the Immersion Room, visitors can select items from the Cooper Hewitt's collection of wallpapers and have them displayed on the walls of the room. Alternatively, a visitor can make his or her own design and see that design on the walls of the Immersion Room. The Cooper Hewitt has a shop and a cafe. For more information about visiting, see the Cooper Hewitt website. Above: The Cooper Hewitt has a large garden. Above: The Cooper Hewitt makes good use of technology. One of the interactive tables where visitors can learn more about pieces and design their own. 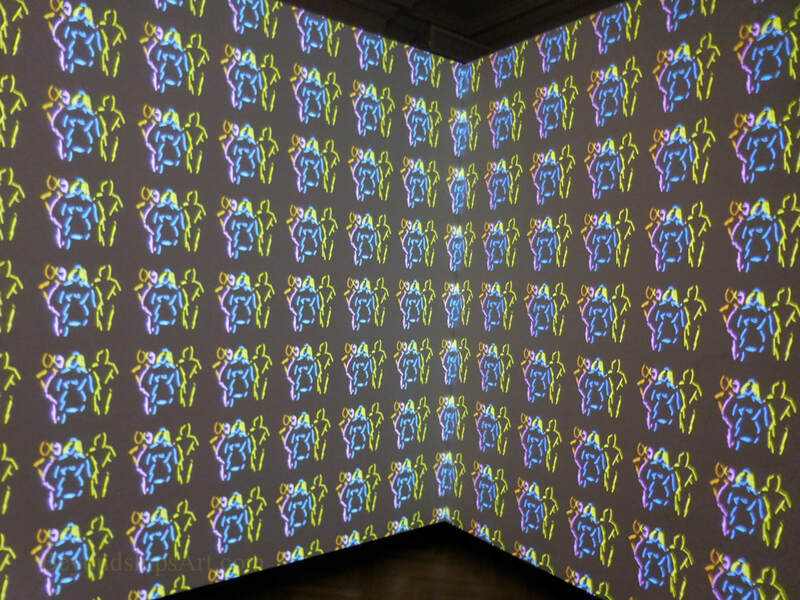 Below: In the Immersion Room, visitors can create a design which can be displayed on the walls of the room.